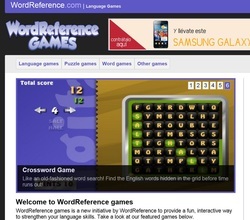 WordReference.com English Dictionary including a forum to discuss the meaning of words and expressions. 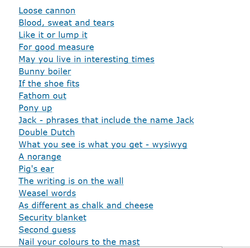 You can also look words up from Word Reference right here as well. Play games with words. Shuffle: translation game, crosswords, Swapping: swap 2 letters to get a word, Hex words: how strong is your English vocabulary? etc. Learn expressions, idioms and sayings on this website. You can even subscribe to their service 'A Phrase A Week' which is a free. Each week, email an explanation of the origin of a commonly-used English phrase or saying. Noswearing.com offers a dictionary of swear words. Type a verb or a preposition and get the one you are looking up. 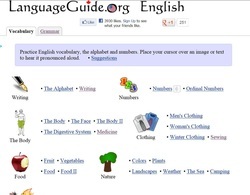 http://www.synonym.com/ where you can find a dictionary of synonyms and antonyms. Phrase up helps you with your writing skills because it gives you suggestions to complete your sentences. Listen to the word just using the pointer. Write the pronunciation of any word or paste a text on this site which is a project to create a Phonetic Transcription Converter: http://project-modelino.com/english-phonetic-transcription-converter.php? This is a website on which you type a word and you can watch a video in which that word is used. It is complicated to know how to pronounce some of them. Here is a website to know how to pronounce them. Inogolo.